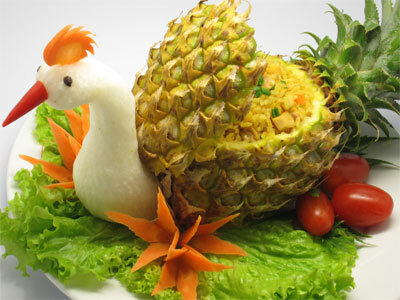 In our restaurant, in addition to a Japanese cook who has a long career in the Japanese cuisine and a skilled knife technique, there is a Vietnamese cook who has more than 20 years of career. 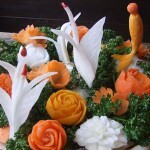 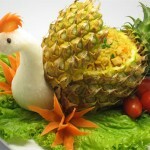 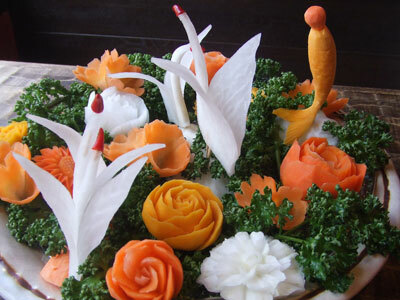 There are various decorative carvings in Vietnamese cuisine as well, and the knife techniques of the Vietnamese cooks are excellent even to the eye of the skilled Japanese cooks. 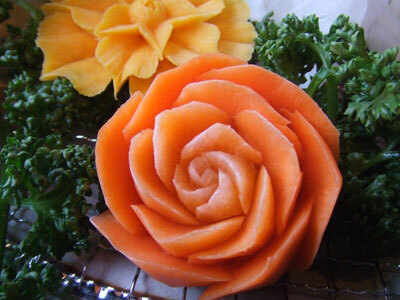 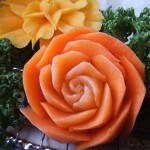 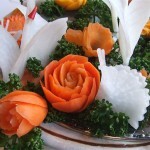 In the Vietnamese cuisine, they have such an excellent technique as to curve a carrot into a flower with a detail of every petal, and their clever hands and rich imagination are outstanding. 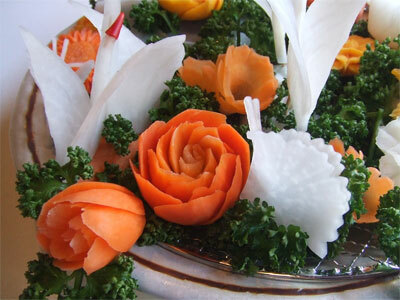 It is such a great technique with which the WAGYU A5 is prepare and served in our restaurant!